December 14, 2018 By Erika C.
When we think of Orlando, Florida, we often think of Walt Disney World, the land of magic and creativity – a place where the impossible becomes possible and imagination has no limits. 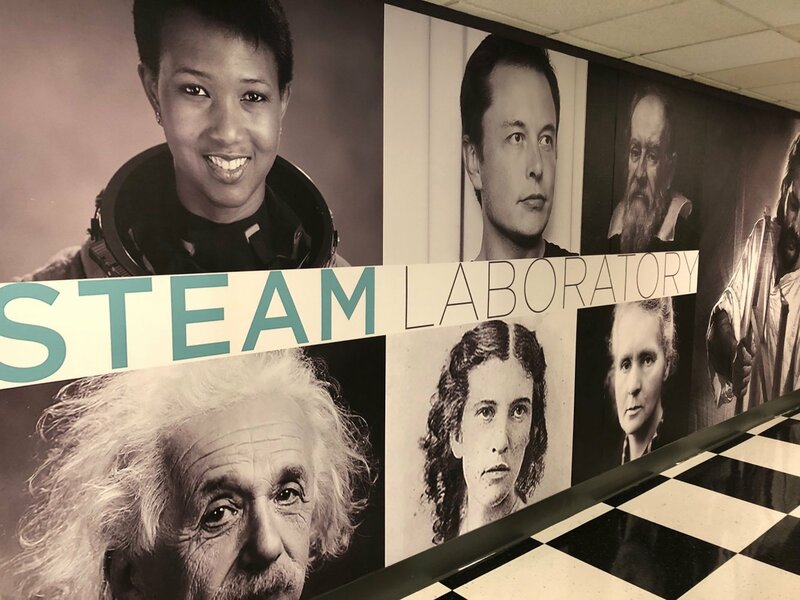 So it is only fitting that just a short drive from Disney, in the heart of downtown Orlando, there is a different kind of magic happening… The enriching and exciting world of Science and Technology at The Christ School. Hidden in the beautiful Orlando cityscape, and just a few short steps from Lake Eola, sits The Christ School, an independent TK–8 school. 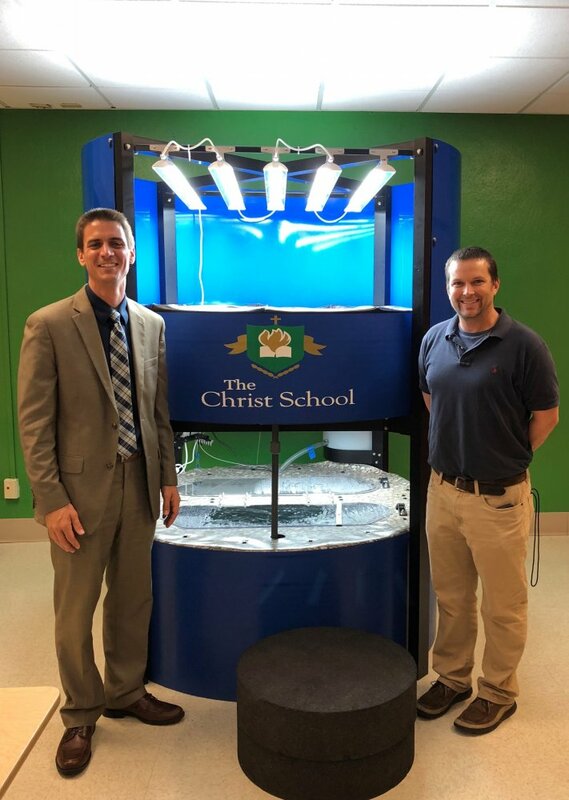 At the start of the school year, The Christ School unveiled their impressive STEAM Lab that is being used by their students and includes a brand-new aquaponics program through AquaGrove. If you don't think it is possible to farm fish and grow gardens inside a brick building, then think again. Add to it the fact that the program and system maintenance are being led and conducted by middle school students, and you have some real magic happening. And experimenting and learning is exactly what the students are doing. At The Christ School, all grades use the STEAM Lab, and the eighth grade students even have the option to have the STEAM Lab completely as an elective, so enriching STEAM related activities are happening on a daily basis. 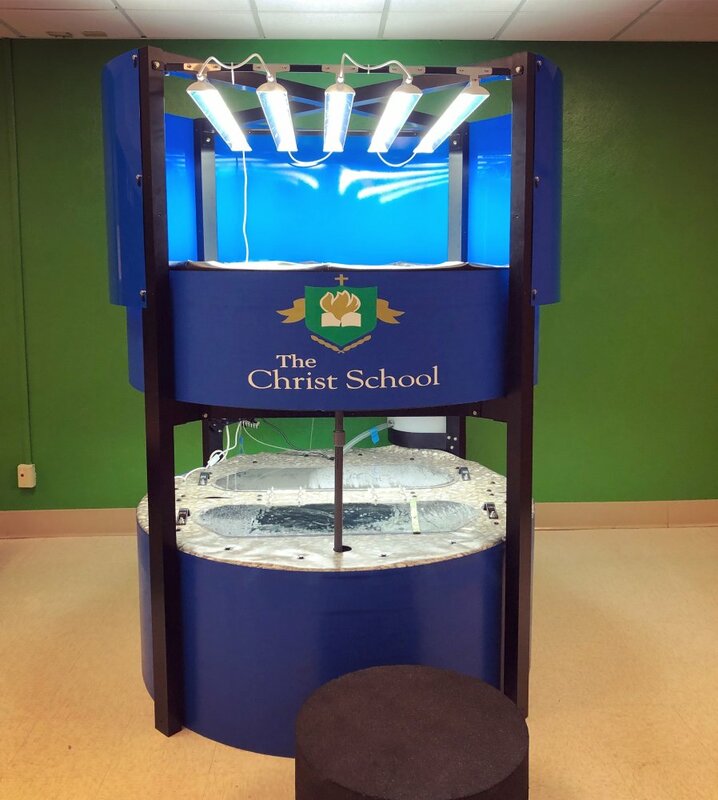 When it comes to their aquaponics program, the school has come up with multiple creative ideas for explaining the lifecycle, the importance of sustainability and methods to use what they grow in a way that will be meaningful. They have successfully created a learning model that crosses multiple disciplines using the AquaGrove to enrich the marine science class, aquaculture and even an entrepreneurship program. Teachers are engaging students and have found that middle school students are interested in getting “hands-on” with the system, from tracking pH and ammonia levels to researching and reporting on the varieties of vegetation and fish they can grow. 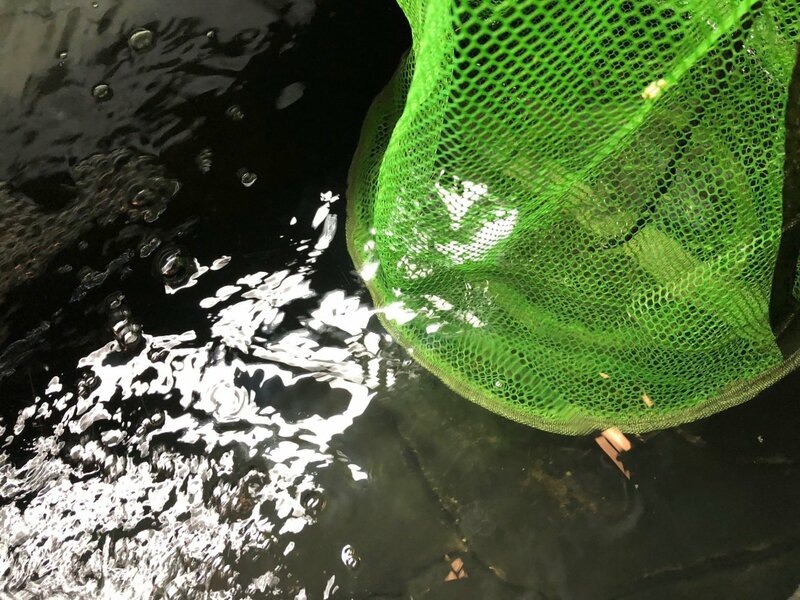 Their first crop was a mix of vegetation inclusive of lettuce, basil and spinach, and they have closely and carefully introduced and monitored their fingerling tilapia. Once they establish a regular schedule for harvests, The Christ School has a variety of potential ways they will be using the fresh and organic food they produce. From supporting their homeless ministry and creating a co-op farmer’s market to eventually offering farm-to-table food service, there are no limits to where the students will go and grow with AquaGrove at The Christ School.